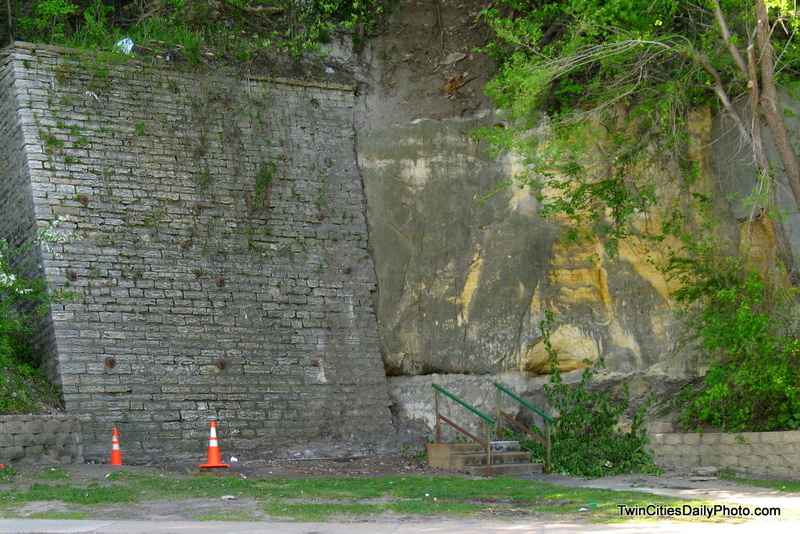 St Paul's West Side neighborhood lost it's historic Green Stairs in the summer of 2008 after a large piece of the cliff fell into the structure causing major damage. 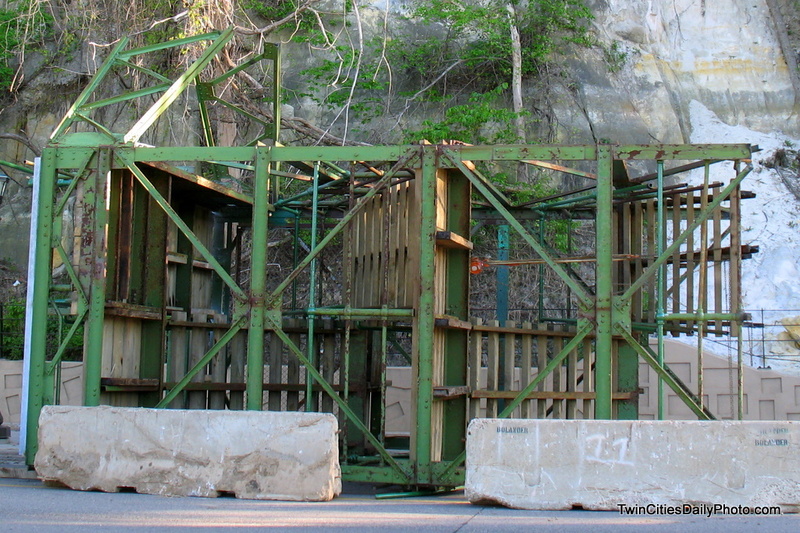 Due to lack of funding, the stairs were removed for safety reasons. They stood for 92 years and became part of the areas history. 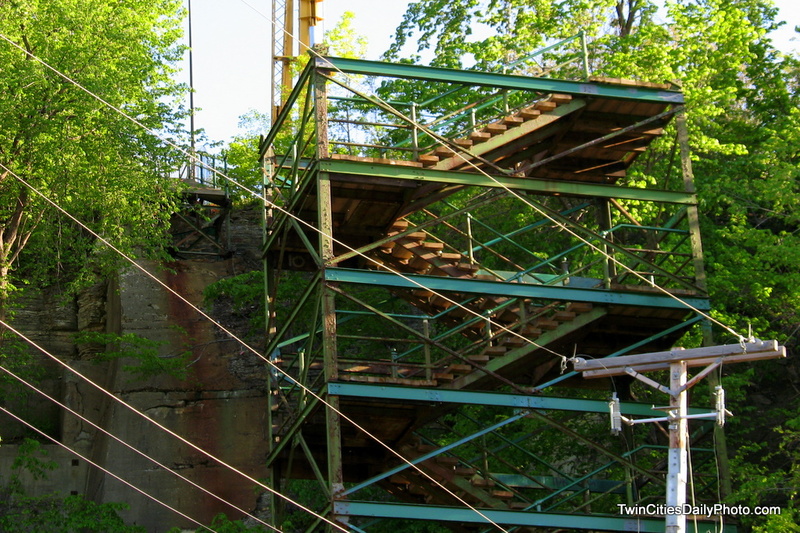 One of the first projects in the state that was approved was replacement of the Green Stairs. From what I'm reading, the replacement should be open by the summer of 2010. The color of the stairs will remain green, thank goodness. The artist drawing of the stairs, which can be found here, sort of takes away the simplicity they once had. But the area has gone through a much needed face lift and I suppose the stairs had to be tweaked as well to fit in. 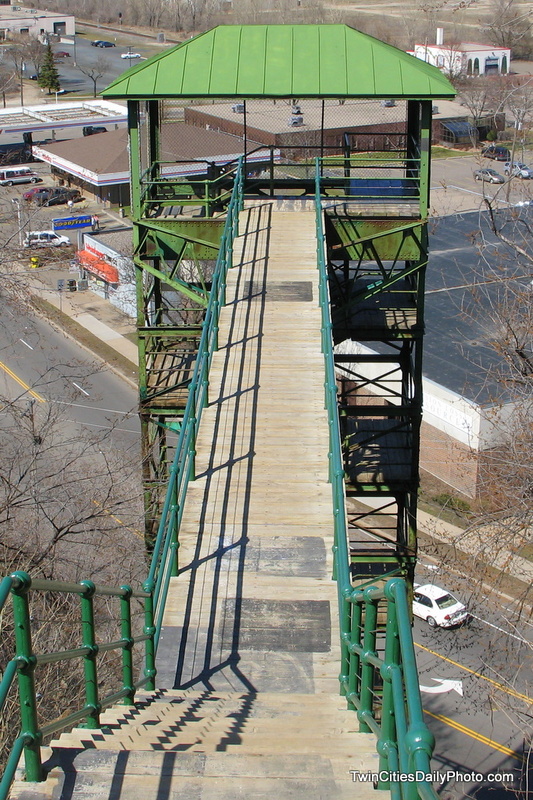 I'm looking forward to new photos from the top of the stairs like this one I took in April of 2007. Slinger, When I read the article in the paper re. 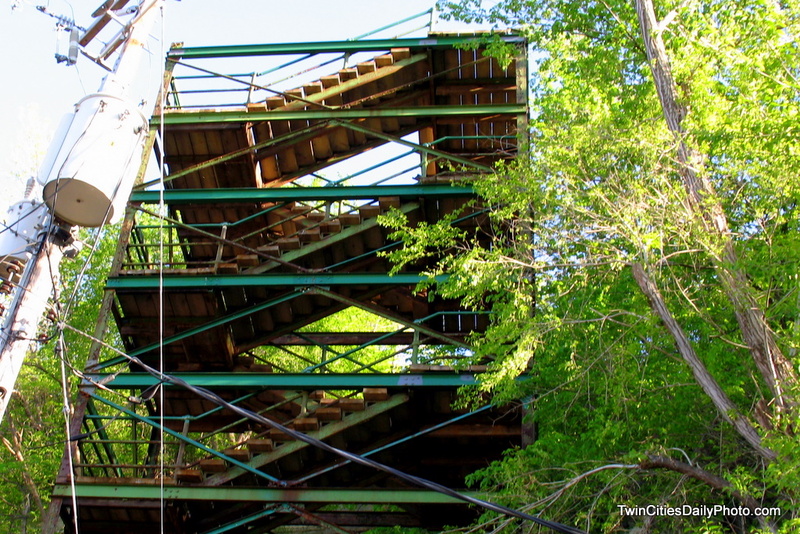 the green stairs, I KNEW that you would find a way to blog it because it's an old-neighborhood haunt of yours, as I recall. Waiting for the new photos, even if it will take a while. Watching its construction should be fun to photograph, too. Absolutely Kate, I couldn't pass up the opportunity. You are correct, it is one of my personal favorite areas to photograph.